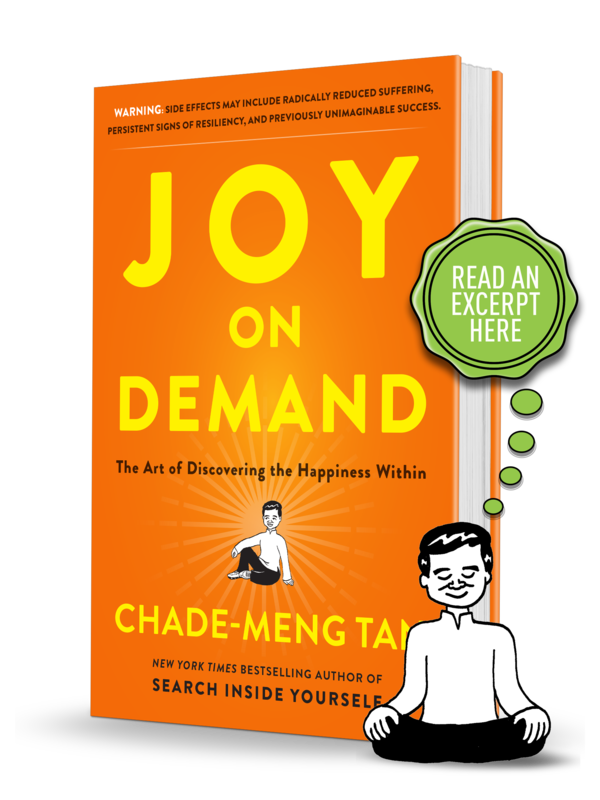 The path to joy on demand is through mindfulness, but it doesn’t have to be a lot of work, take a lot of time, or require you to abandon all your possessions and live in a hut on a remote island. 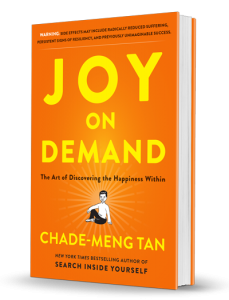 In Joy on Demand, Chade-Meng Tan reveals the innate contentment that we all possess, and how to tap into this natural, infinite capacity for joy. The best part is that the benefits extend to every aspect of life—our brains work better, our bodies function better, we achieve greater success at work, and we find ourselves highly attractive to the people around us. The more we exercise this skill, the more familiar we become with joy, the more we effortlessly gravitate toward it, and in so doing create a sustainable sense of wonder and contentment that can carry us throughout our entire life. (Holding for applause.) PLUS! The book is packed with cartoons! both The New York Times and USA Today! 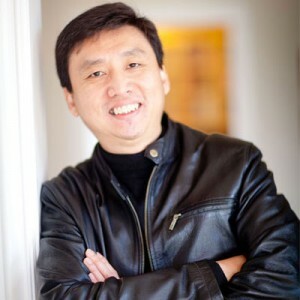 CHADE-MENG TAN (“Meng” for short) recently retired from Google where his official title was “Jolly Good Fellow (which nobody can deny)”, a perk he earned by being one of the their earliest engineers. Among many other things, he helped build Google’s first mobile search service, and headed the team that kept a vigilant eye on Google’s search quality. An avid meditator, he has now dedicated himself to promoting Peace, Liberty, Enlightenment and Happiness. 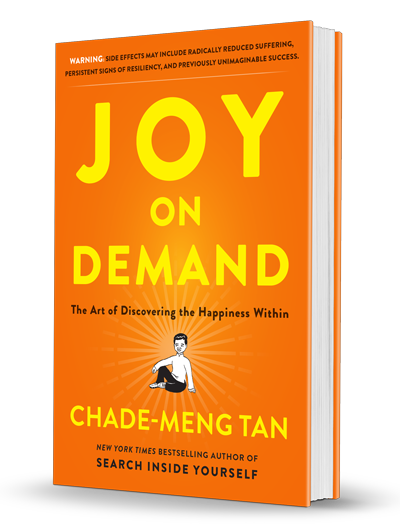 PRAISE FOR "JOY ON DEMAND"
just debuted on the bestsellers list of both the New York Times and USA Today!